Fino Agency is child WordPress theme of fino. It’s multipurpose WordPress themes has suitable for most of all type of business. 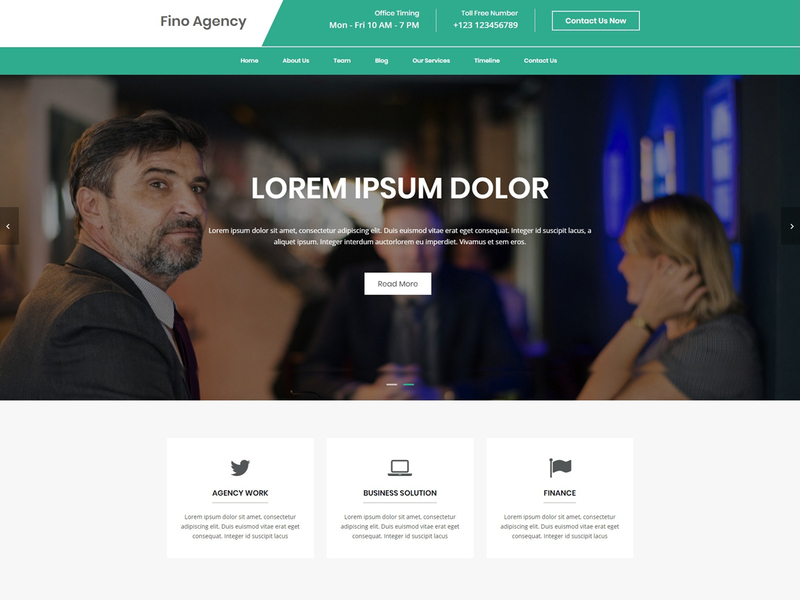 Its used for the multipurpose agency type theme work for like Marketing, Online Business, Finance, startup, Corporate, Stock Market, IT infrastructure, Consultant, Manufacture plant, Services, Retailer, Wholesaler, Store, IT Firm, Cloth business, and many more business.Fino Agency is a free multipurpose WordPress theme having profound integration with WooCommerce plugin. It is a fully responsive and very lightweight Seo Optimised theme with an elegant design, extensive functionality and incredible user experience.